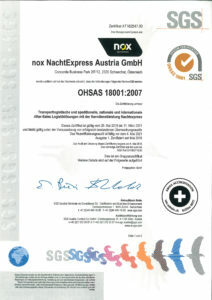 We aim to achieve perfect quality for every single shipment: On-time, at the right place and in perfect condition. 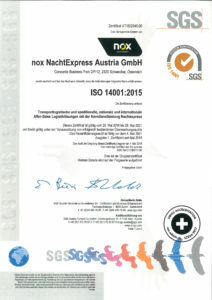 nox NachtExpress is a reliable business partner offering excellent service with a long term view. Consideration for the environment and sustainable business are part of our culture and drive our thinking and operational management. – Environmental Policy Statement – nox NachtExpress is working on a program to record the ongoing improvement of its environmental performance.